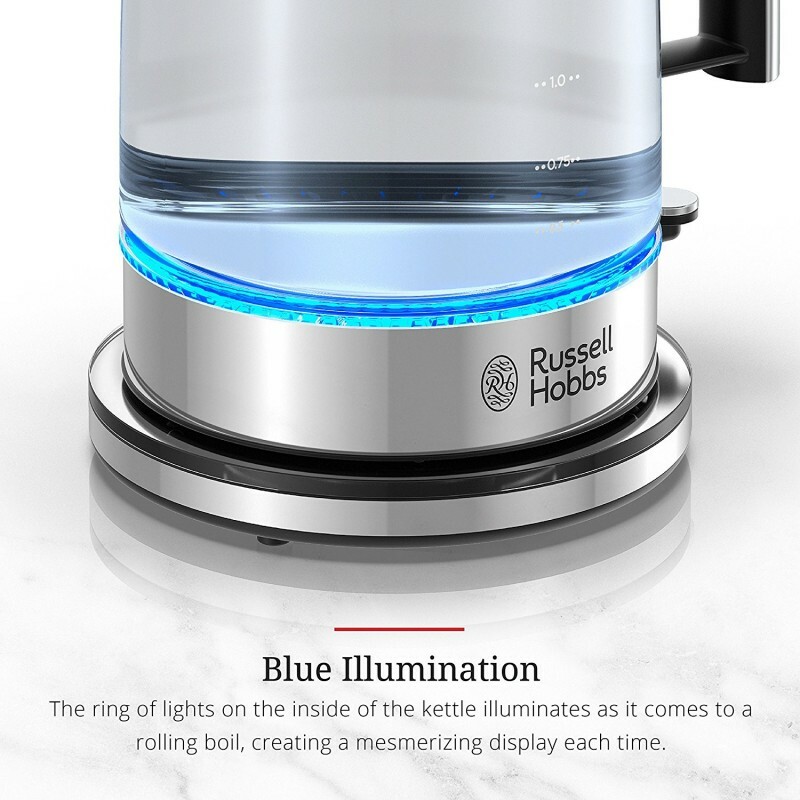 The Russell Hobbs Glass Electric Kettle has one of the most amazing displays when boiling water thanks to the blue LED lights fitted along its premium glass exterior. 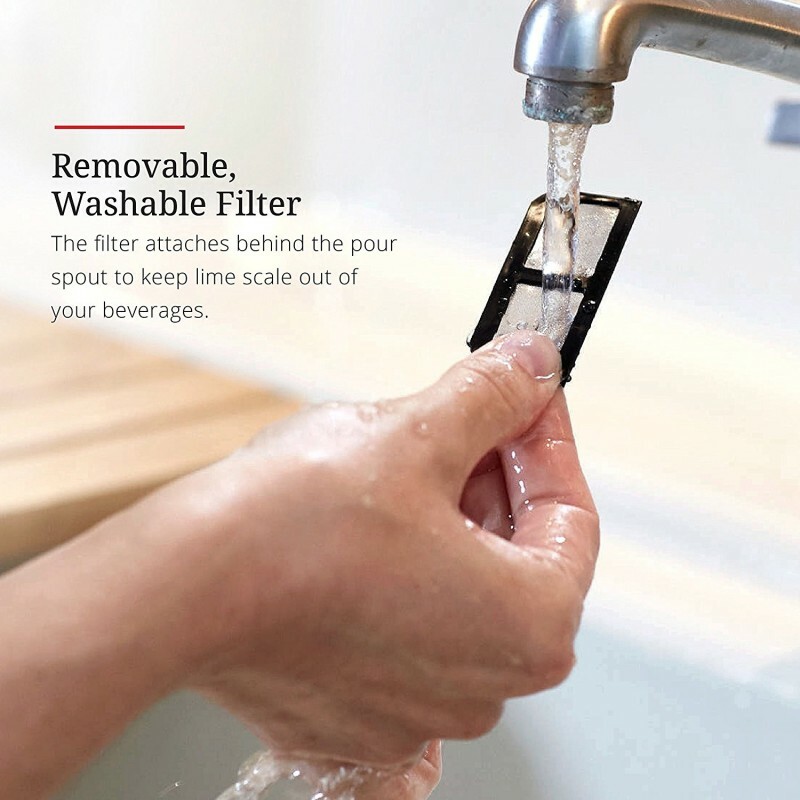 You will also love that it comes with a removable and washable filter that prevents the lime from finding its way into your beverage. 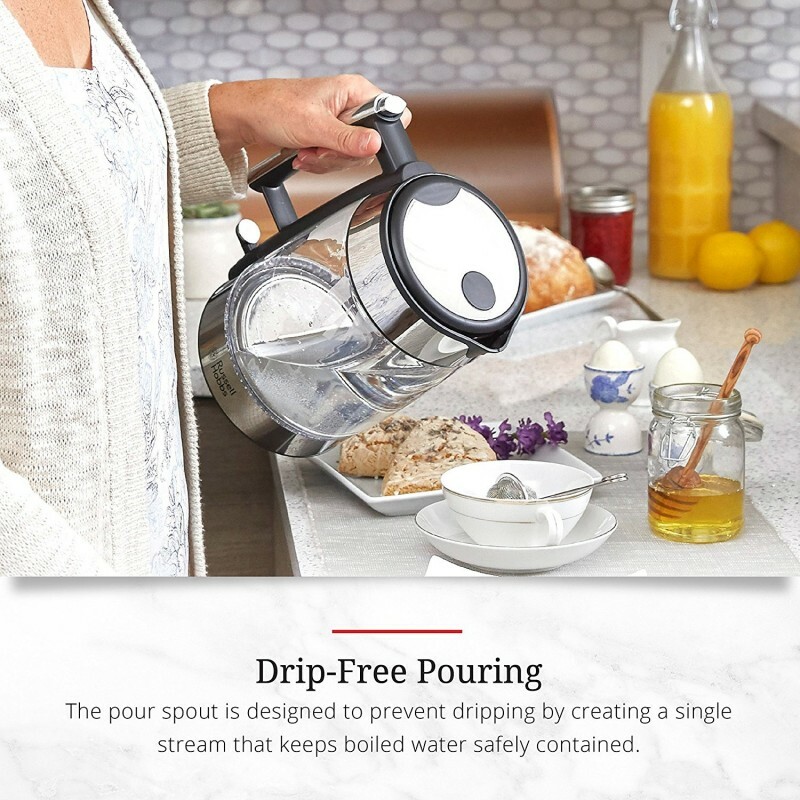 Its pour sprout is drip-free to help you in maintaining cleanliness. 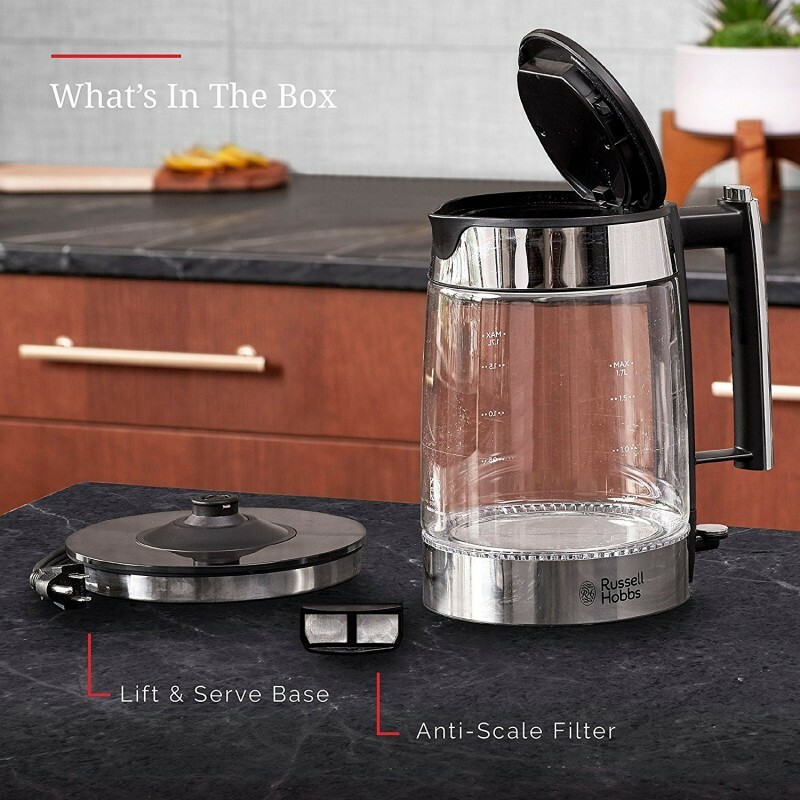 Even though it has markings on the side that are written in liters, it would be ideal if they also provided alternative measurements like ounces or cups on the other side of the kettle. The blue LED Lights it comes with lets you know when the water is boiling. It is good for maintaining cleanliness as it comes with drip-free pour spout. 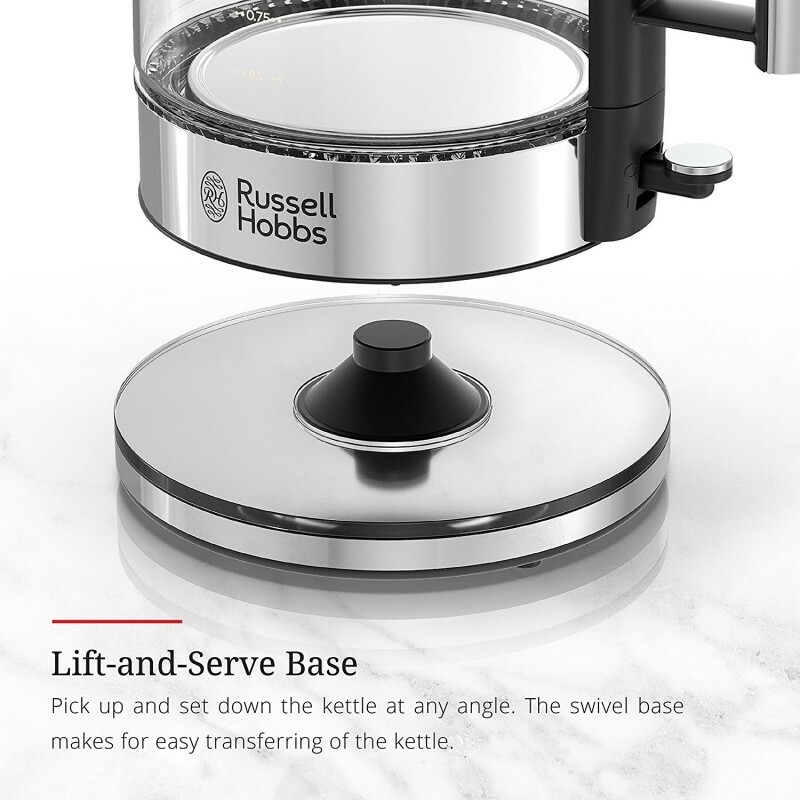 Easy to use especially while serving thanks to its lift and serve base. It preserves your health as it comes with an anti-lime filter that keeps lime out of your beverages. The filter is removable for easier cleaning. You can measure the precise amount of water that you need to boil thanks to the markings on it. 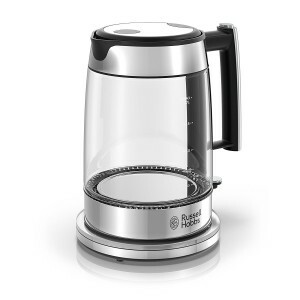 It stops automatically when the water hits the boiling point and if there is no water in the kettle. It only has the measurements in liters on both sides instead of having cups or ounces for variety and clarity.